As a writer, I’ve always wished for that great story to tell. Now that I have one, though, I wish I were telling someone else’s story. We arrived at our shore house last weekend to discover that we had had a break-in. Thankfully for us, we believe this was a one-time thing and the man who did it is behind bars now. But I still find myself in moments of disbelief that all of this really happened in our home away from home. Last Saturday, we unloaded everything from our cars onto the front porch and got ready for our first real getaway since buying this house. We were looking forward to five full days down the shore instead of an overnight or weekend stay. My husband opened the door and I walked in with the cooler full of food over my shoulder. Upon entering the living room, I noticed a Blue Moon beer bottle and flatware knife lying on the floor. “What on earth is this doing here?” I said aloud to no one in particular and picked up to bring it into the kitchen. “Oh my God, Ron, come in here! I think we had a flood!” I called to my husband who was directing the kids where to put stuff on the front porch. I stood there, frozen in place, taking it all in. We had brown filth washed all over our kitchen floor. Some had splashed up the bottoms of the cabinets, oven, and refrigerator, too. It covered more than two-thirds of our usually white, linoleum kitchen floor. My eyes traveled up the cabinets and confusion registered in my brain a what looked like finger streaks on our silverware drawers. I panned my gaze around the room and stopped on the inside of our kitchen door. There was something written in crude letters, in the same color filth all over our back door. By this time, my husband was standing next to me. “I don’t think this was a flood, hon,” I said to him. “I think someone broke in,” I croaked. “Oh my God. Yeah,” he agreed, taking it in for the first time. “Yes. Keep the kids outside. Don’t let them see this,” he ordered. My brain didn’t register yet the horror I was just standing in. Rattled from the mere notion of our new house suffering a break-in, I looked up the local police department phone number on my smartphone. In hindsight, I now know I should have dialed 911, but as horrible as a break-in is, I didn’t consider it an emergency. I waited while I was transferred to the right department. I gave the operator my information and explained that we thought our house was broken into and vandalized. That we found mud all over the kitchen floors and someone had written something in it on our kitchen door. She instructed us to stay out of the house and not touch anything until the police arrived. In the short time we waited outside with the kids, we explained in the briefest of terms what had happened and why we were waiting for the police. After listening to my phone call and description to our kids, I caught my husband’s gaze over the tops of our children’s heads. With a shake of his head, he mouthed, “I don’t think that’s mud,” to me. “No,” he replied with his eyes locked on mine, waiting for my brain to catch up. Then it hit me. The rusty brownish color. The dark, individual drops splattered on our newly finished hardwood floors. The knife I had picked up off the living room floor. I audibly gasped as a chill went through me and clutched my daughter closer to my chest to keep myself from physically shattering with the revelation. My eyes went wide and my gaze bored into my husband’s eyes sitting across from me. “Yup,” he nodded. He knew I had worked it out that it was blood. I sat in stunned silence for the remainder of the five minutes it took the police to arrive. Two patrolmen introduced themselves and listened to our story. We brought them in to show them the kitchen. One glance and they immediately agreed with my husband. It was blood, washed all over our kitchen. They directed us back out on the porch while they went through each room of the house together, including the basement and stifling hot attic. I got the kids busy on the front porch with a game and told them to stay put while my husband and I went in to talk with the policemen. We explained that nothing of significance was missing that we could tell. We confirmed that I had touched and moved the knife from the floor, but everything else was as we had found it. We watched as the police pointed out my cleaning bucket, filled with empty beer bottles. They opened our blood-splattered refrigerator and confirmed that the bottles were ours, but we had left them, full, in the refrigerator. Every bottle we had stocked was gone. We then noticed and reported a brand-new bottle of tequila that was missing from the top of our fridge, too. The story started to come together. With the officers escorting us through the house, we checked the upstairs to make sure nothing was missing. I may not be the most fastidious housekeeper, but when I do bother to make a bed, I leave it smooth, without a wrinkle. Someone had sat on our bed. My husband walked around to the other side of our room. He bent down and picked up a pair of black plastic sunglasses. “No,” I replied, staring at the rumpled bedspread. “Oh no. I wasn’t supposed to touch these then, was I?” my husband asked the officers. It wasn’t like the didn’t have enough evidence to gather in our kitchen, we all knew. Satisfied that we had been violated, but that nothing of value was stolen, we went back downstairs. One officer asked for some plastic garbage bags to collect evidence, while the other called in the report of what happened. At that moment, I pieced it together. “I CUT MY FINGER,” I said out loud. 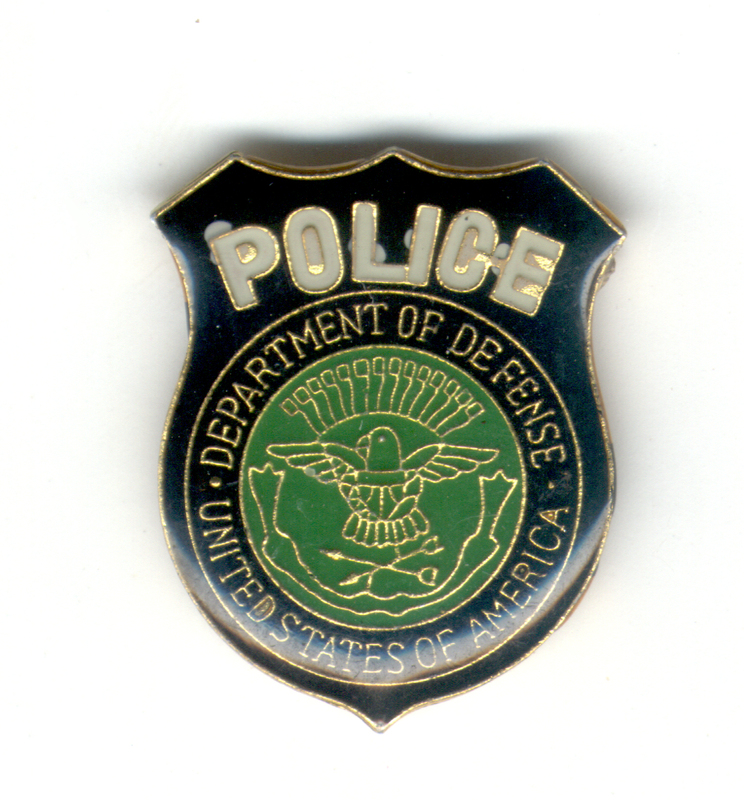 Looking at the officer, I repeated it. “The writing says, ‘I cut my finger. '” He nodded and added it to the report. Back outside with the kids, I watched as my husband paced up and down the walk to our side kitchen door. We thought we had locked it, but couldn’t be absolutely sure. I knew I had turned a deadbolt, but couldn’t be sure it had clicked into place. I just hadn’t checked or paid that close attention. I may have just gone through the motions. My husband came back out the sidewalk that runs in front of our house and along the entire block. He bent down to look at something on the ground. “I think this is blood, too,” he said. I walked down the porch steps and over to where he stood. 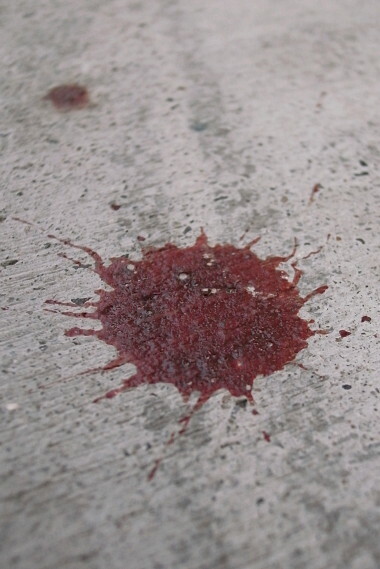 Every three or four feet along the sidewalk, there was another droplet of blood. By now, the neighbors had gathered and were offering all kinds of opinions and comfort. “Did it rain recently?” my husband asked one of the neighbors. Ron and I looked at each other, both reaching the same conclusion. “So this would have washed away. It’s still fresh. This happened last night,” he said and went back into the house to get the policemen. We watched from the porch as they shooed everyone off the sidewalk and took pictures of the blood as they followed the trail Ron had discovered. It went up the sidewalk, and turned the corner at the side entrance three doors away from our house. An old Victorian house had been divided up into apartments for rent. The two officers followed the trail back, right to the door of one of the units. After what seemed like an eternity, but was probably only about twenty minutes or so, one officer came back to update us. The police told us what the man admitted to them. He looked in our windows and saw the bottles we kept on top of our refrigerator. I was collecting bottles of wine with beach themed labels, some we had purchased, some we had received as gifts. We also had put a brand new bottle of tequila for margharitas up there, that was now missing. The friend claims that he called the police himself then, to report his friend, but we’re not so sure that’s the whole truth. Anyway, the man came back Friday night and proceeded to drink all of our beer. He drank all of my husband’s twist-off Blue Moon bottles. When those were gone, he attempted to open one of my Sam Adams. Those are pop-offs, but I have the bottle opener on my keychain, so it wasn’t in the house. That’s when he reached into our silverware drawer, pulled out a knife and tried to open it that way. The genius gashed his thumb in the process. He continued to drink himself into oblivion in our house, then left. He says he blacked out and doesn’t remember writing on our door in his own blood. He did tell the police that he came back a second time, and attempted to clean up. That explained the bloody hand prints all over the outside of my coffeepot. He filled it with water a bunch of times and splashed it all over the blood on the floor. This was what gave our kitchen the look of a flood at first glance. He told the officers he “messed up” and was really sorry. He was taken away while we watched from our porch. A mix of emotions rushed through me. I was so relieved to know that the person responsible for this was found and that it was drunken stupidity instead of a rash of crime that might never be solved. I was disgusted at what this man, fully grown, in his mid-fifties, had done to our house and to my sense of security. I was absolutely horrified and grossed out at the prospect of cleaning up. I sat down on the front steps of our porch and just started trembling. The hot tears pricked the backs of my eyes and I knew my emotional reaction was demanding to be recognized. My husband sat down next to me, wrapped his arm around me and hugged me to his side. “Why don’t you take the kids out to grab some lunch and I’ll clean up the mess?” he offered. I never loved him more than I did at that moment. A pair of rubber gloves and a bottle of bleach later, I returned with the kids to a clean kitchen. 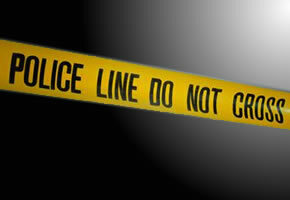 The man was arrested and taken to the hospital to be treated for his injuries. He was too drunk to legally Mirandize and was released back to his apartment that night, pending a full investigation and formal charges. Thank you so much for giving rights to criminals without regard to victims, ACLU. He was told to stay away from us and our residence. Two sleepless nights later, the Detective came back, and formally charged him with unlawful entry and theft. Apparently writing on the walls in your own blood doesn’t warrant a vandalism charge. He is being held in the County jail, awaiting his court hearing. He was offered bail, but can’t afford it. His record shows a history of crimes all related to alcohol and drugs, but no history of violence, so he’s not considered a threat. I’d like to know anyone who discovers blood all over their home who doesn’t feel threatened. Our house is clean and our family was able to enjoy a pleasant Fourth of July week down the shore together. 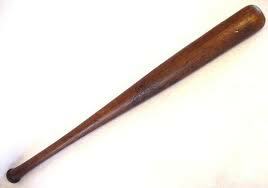 I now sleep with a heavy baseball bat beside my bed. I missed the part where he was a grown man. What a sad existence. I am sorry that you had to experience this, Stace. I want to give you a hug. I’ll take the crappy cyber hug for now, Amy. Thanks for the support.